Warren Coleman was the son of Rufus Barringer, a Confederate general, and Roxanna Coleman, a slave. From meager beginnings, he rose to become the wealthiest black man in the state by the 1890s. 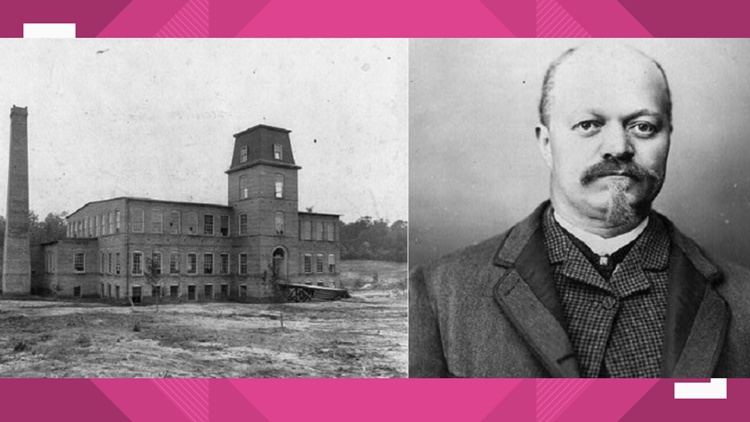 CONCORD, N.C. — On February 8, 1898, Warren Coleman and his associates laid the cornerstone for the nation’s first black-owned cotton mill in Concord. Congressman George H. White, himself a civil rights pioneer, was the main speaker at the event. The company represented the first major cooperative effort by North Carolina’s African American businessmen. Coleman was the son of Rufus Barringer, a Confederate general, and Roxanna Coleman, a slave. From meager beginnings, he rose to become the wealthiest black man in the state by the 1890s after starting a combination barber shop and candy store and parlaying his success with that enterprise into a large real estate and mercantile business. With his statewide contacts and a belief in the self-help philosophy of Booker T. Washington, Coleman assembled partners from the state’s “black elite” to start the mill. James Walker Hood, John C. Dancy and Edward A. Johnson were among the men he asked to join him in the project. The company also had white backers including tobacco magnates Julian Carr and Benjamin Duke. A list of African American Entrepreneurs.